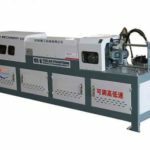 Steel hoop bending machine is one of the widely used steel bar processed machinery, which is a kind of steel bar bending equipment. The steel hoop bending machine for sale in Yugong has the characteristics of simple bending process, high working efficiency, easy to use and neat bending. 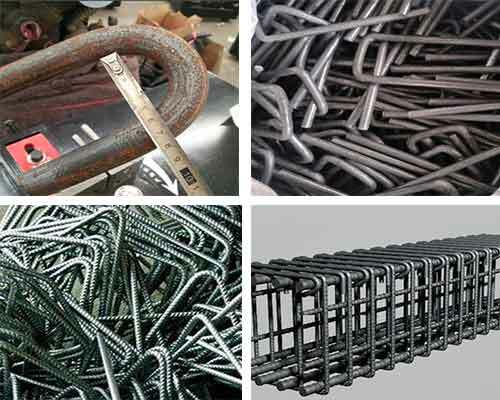 In addition, the bending angle and size and be adjusted arbitrarily, and it can bend the round steel with a diameter of 4-32mm or rebar with a diameter of 4-28mm into various geometric shapes required for construction projects. 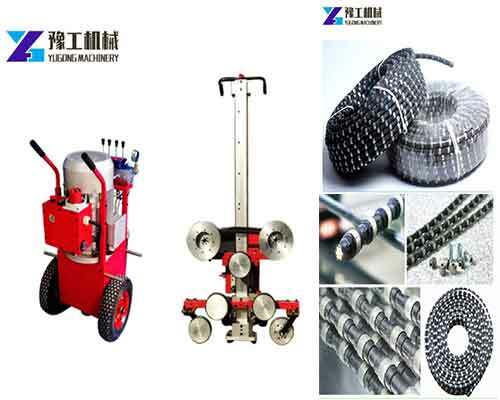 There are many kinds of steel hoop bending machine in our company, you can choose according to the shape, diameter of the steel bars, as well as the angle you want to bend. 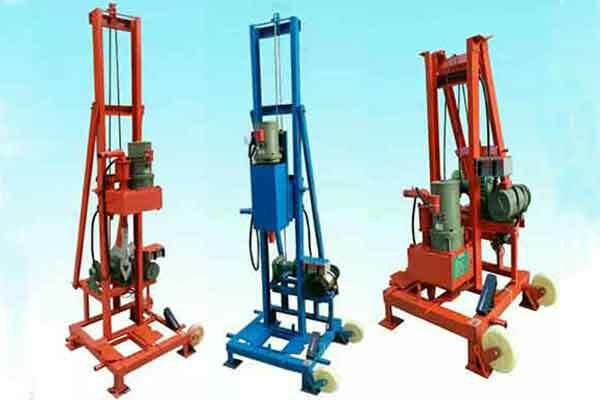 The steel hoop bending machine is usually used with steel bar cutting machine. So if you need, you can buy the two machines in our factory, we will give you a discount. 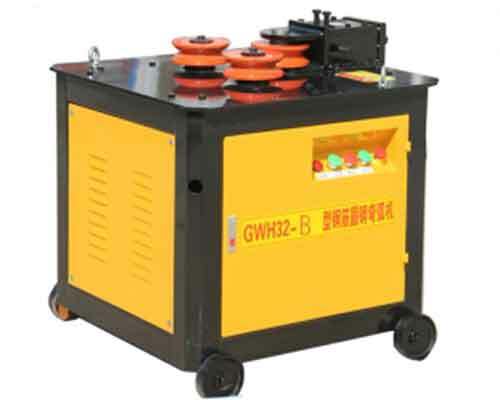 Steel hoop bending machine is mainly composed of motor, gearbox, electrical appliances, frame and other components. 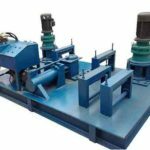 When it starts to work, the motor rotates clockwise through the V-belt, decelerates through the gearbox, and then the main output shaft on the gearbox drives the bending arm to rotate. When the bending arm touches the control panel with the limited angle, the controller on the angle control returns automatically. When the bending arm returns to hit the micro switch, the micro switch open circuit motor stops and the cutting work is completed. Aggravating the fuselage in a science way, which makes the center of gravity stable and easy to work. 180 degrees curved disco. All kinds of angles can be adjusted at will and the angle of bending hoop is accurate. The forging gear. International pure copper motor, thickened forging gear kit. Heightening blade that can bend more steel bars at a time and improve working efficiency. Easy to operate. The machine is controlled by foot step switch. 1.Check whether the mechnical properties are good, the working table and bending machine surface are kept level. Prepare various mandrel tools. 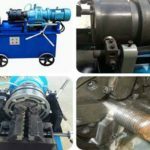 2.Install mandrel, forming shaft, baffle shaft and variable baffle frame according to the diameter of processed steel bar and requirements of rebar bending machine. The diameter of mandrel shall be 2.5 times of the diameter of steel bars. 3.Check the mandrel, block and turntable should be free from damage and cracks, and the protective cover should be fastened reliably. Only after the operation of the empty machine is confirmed to be normal can the operation be carried out. 4.When working, insert one end of the steel bar that needs to be bent into the clearance provided by the rotary table for fixing. Fix the other end close to fuselage and tighten it by hand. 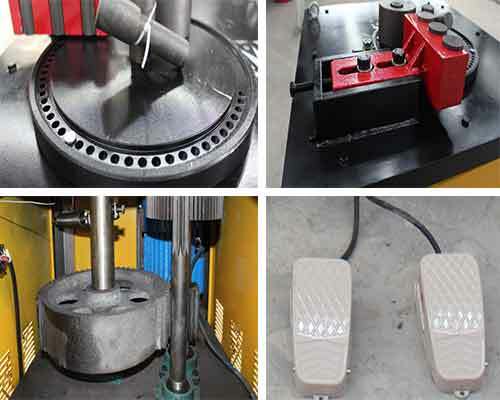 5.When the machine is working, it is strictly to replace the mandrel, change the angle, speed regulation and other operations, it is also not allowed to fuel. 6.When bending steel bars, it is strictly prohibited to process steel bars that the diameter, number of roots and mechanical speed exceeding the mechanical requirements. 7.When bending high hardness or low alloy steel bars, the maximum diameter shall be changed and the corresponding mandrel shall be replaced in accordance with the provision. 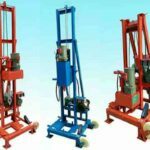 8.It is strictly prohibited to stand on one side of the machine without fixed position within the working radius of bending steel bar and the fuselage. The bent semi-finished steel bars should be stacked neatly and the hooks must not face upwards. 9.When the turntable changes direction, it must be done after stopping. 10.After the completion of the work, please clean up the site and carry out the maintenance work. 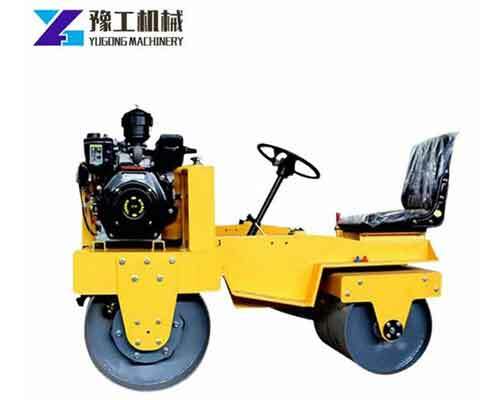 Henan Yugong Machinery Co.,Ltd is a powerful enterprise in the construction machinery industry, with excellent machining equipment, complete detection means, strong technical force and advanced manufacturing technology. 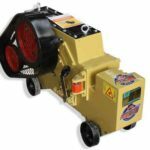 Over the years, with high-quality machines, reasonable prices, innovative business methods and perfect after-sales service, we have won high praises from the customers all over our country. 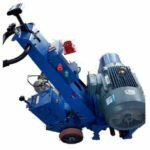 Now our machines have been exported to various regions and countries abroad, such as, Singapore, Philippines, USA, Georgia, Pakistan, Africa, Australia, etc.. In addition to steel hoop bending machine for sale in our company, we can also manufacture some other steel bar processing machinery, such as, steel bar cutting machine, rebar bending and cutting machine, rebar straightening and cutting machine, etc… as well as road construction and maintenance machinery, diamond wire saw machine, hydraulic rock splitter machine and various drilling machine. Choose the machine you need and contact us for quotation now.